Jersey Shore: Family has been all about relationships on Season 2. 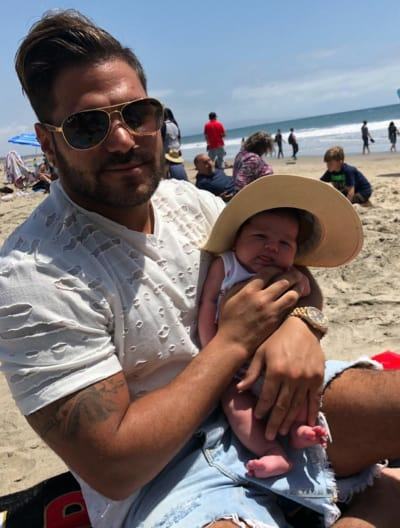 We’ve watched as Ronnie and Jen Harley have screamed and yelled at each other, with fists and saliva occasionally flying back and forth between the parents of poor little Ariana. We’ve also been present when JWOWW filed to divorce Roger Matthews and when she had a major falling out with the other love in her life, Snooki. 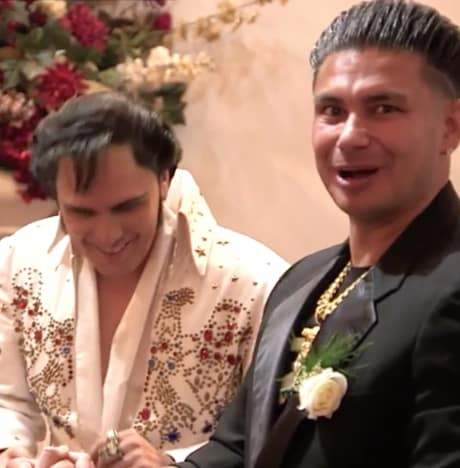 … on which Pauly D and Vinnie got married! Last week, of course, the men sent the ladies off to the airport under the assumption they were right behind them. But they lied. And stayed behind to fit in one more “guys night,” making the absolute most of their testosterone-fueled time together. 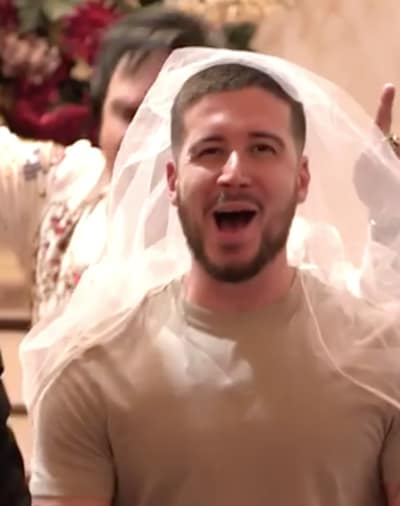 At one point early on, Pauly D popped the question of a lifetime to Vinny Guadagnino, making a mockey of the entire concept of marriage and asking for his hand in this blessed union. He said yes, and the two headed to a local chapel to make their bromance nice and legal. Mike and Ronnie attended Pauly and Vin’s brommitment ceremony, with The Situation holding the cake and, naturally, eating most of it while the vows were exchanged. From there, Pauly placed a gold band on Vinny’s finger, although the new husband wasn’t thrilled over the rather plain looking ring. This was their first fight as newlyweds. Of course, the real point of this supposed wedding was to given the fellas a reason to party on The Strip one final time. 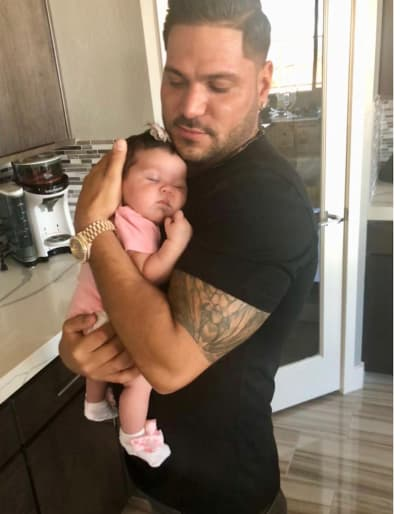 On a more serious note, meanwhile, Ronnie chose to stock his house with all-new baby supplies for his infant daughter, following a heated altercation with her mom. Yet again. “I’m just in the mindset of not really thinking about me and Jen, I’m just thinking about the baby. Enlisting the assistance of his male pals, Ronne proceeded to go on a major diaper and car seat run. Is Ronnie really a changed man? Does he really have a renewed focus on his job as a parent? We’ll see on Season 3 of Family Vacation, as well as on the Internet over the next few months. But it sounds promising so far. Previous story Grey’s Anatomy Recap: Meredith is Sleeping With WHO?